Soon after its launch in 2010, Ford F-150 SVT Raptor became one of the highest selling trucks in the US. Later, Ford added SuperCrew model to the series. New model raised the benchmark for trucks in America. Sporting a 6.2 liter V8 engine under its hood, Raptor yields a maximum power of 411 bhp. For Raptor, Ford made every possible attempt to combine off-road capability with day-to-day utility. With an out-of–the box design, FOX suspension system, wider body and fenders and F-O-R-D spelled boldly at center, Raptor captured everybody’s attention. It became so popular that even toy and game makers prefer Raptor over Hummer for making their respective models. The demand went so viral that the American truck is now being called as ‘the most-licensed truck brand’. This made Hummer lose its No.1 position. The companies which have licensed Ford F-150 SVT Raptor are Mattel (for Hot Wheels and Matchbox), Fisher-Price (for Power Wheels) and Electronic Arts (for ‘Need for Speed’). Many of them are still standing in the queue. Originated in North America, Ford F-150 SVT Raptor attracted companies from countries like Canada, Brazil, China, Japan and Germany, for license rights of toys and games. This shows that the Raptor is not just well-known in America alone, but has marked presence throughout the globe. 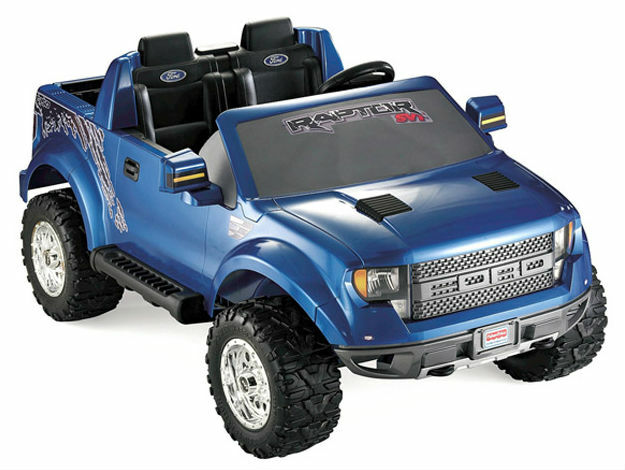 Power Wheels Raptor is one of the best selling toys of Walmart, ever since its launch in 2011. Raptor’s sales figure in 2012 has shown an increment of 20%, when compared with last year.